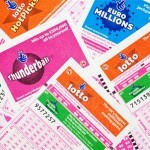 There is no such thing as a free lunch and those who find out overnight that they are the latest winners of a lottery should think twice before submitting personal information. It is simply not possible to win the jackpot without paying for a ticket or at least signing up for sweepstakes. Speaking of which, it is worth learning about the methods used by scam artists in order to be able to distinguish between genuine games and sweepstakes scams. The very idea behind sweepstakes is that you are not required to pay a dime and honest organizers are particularly careful not to break the law. 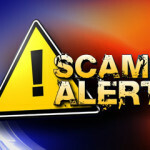 A clear sign of a scam is when players are asked to pay an entry fee or a fixed amount for claiming a prize they allegedly won in the previous draw. Sweepstakes scams are frequently using free email accounts despite claiming to represent big companies, an indicator that can help people recognize the fraud. Although players don’t have to pay an entry fee, they need to enter a contest to have a chance of winning and there is no way of receiving a prize if you don’t participate. Sweepstakes scams are built around the idea that a random person won a prize in this type of lottery game without even signing up, something that is simply not possible. Some try very hard to convince their potential victims about the fact that they are running a legitimate venture by sending bogus checks. Keep in mind that genuine sweepstakes will require confirmations before sending out a check for values that exceed $600. A genuine lottery or sweepstakes will not pressure players into doing anything hasty and will provide winners with plenty of time to act. 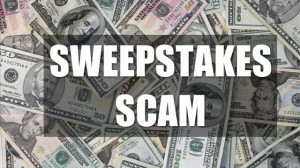 Sweepstakes scams on the other hand are requiring the recipients to wire the money right away and inform them about the prospect of losing everything if they don’t act quickly. This is a clear sign that you are dealing with scam artists who are trying to capitalize on your enthusiasm, so stay on alert and don’t wire money, share personal details or credit card information. Not all sweepstakes scams are the same and some attempts are made by professionals, but the majority is poorly executed. The perpetrators don’t know your name and that’s why they use a general introductory formula such as “hello or dear Sir”. Genuine lotteries will inform winners personally and when they resort to mail they use first-class services, so when presented with a winning notification sent by bookmakers it is only fair to assume that you’re dealing with a sweepstakes scam. Last but not least, many scammers write in poor English and commit many grammar mistakes, something that a real lottery wouldn’t do. 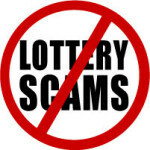 Check out How to identify and avoid lottery scams as well.